I'm really cranking them out, eh? On first blush with these two ladies: I know Helen Holmes was good friends with Mabel Normand, and I know that I have seen Carmelita Geraghty in the Mary Pickford movie, My Best Girl where I thought she did a great job. 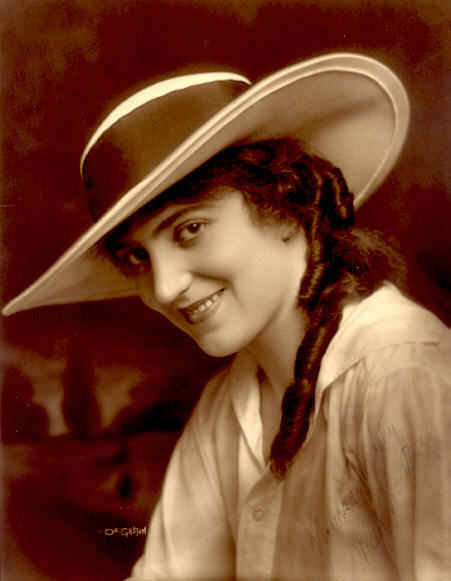 Helen Holmes was born June 19, 1893 in South Bend, Indiana. Her birthplace is based on what Helen has told people since no one has been able to find a birth record anywhere. She may have been born in Indiana, but she grew up mostly in Chicago, Illinois. The same song and dance progression here: artist's model, stage actress, then film actress. She made her stage debut when she was 16 years old. 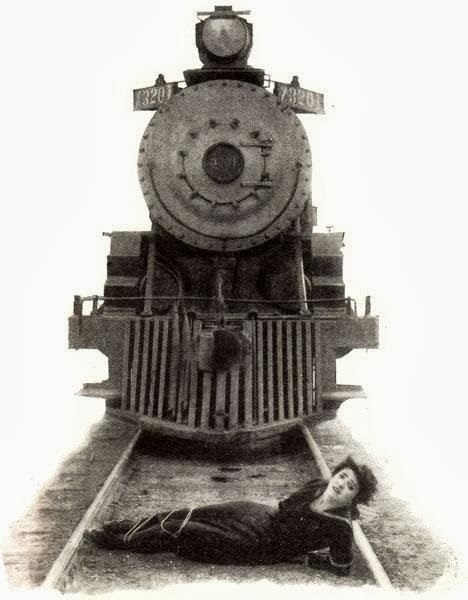 It was here that she met and became good friends with another actress, Mabel Normand. A few years later, Helen headed out to California not to star in the movies, but to take care of her brother who had taken ill. Mabel followed soon after to work for Keystone and convinced Helen that she should try out. It wasn't until her brother died a few months later that Helen took her friend up on the offer. She appeared in a few Keystone films but never really found her niche there, so she moved on to the Kalem Company. It was here that she learned to become an action star (well, action during that period) and that seemed to fit her abilities better than being in slapstick comedies at Keystone. In 1914, Pearl White became the big name in action serials when The Perils of Pauline first began appearing in theaters. Kalem wanted their own action star to have her own serials, so they created The Hazards of Helen. Helen did her own stunts in all 26 episodes of the serial. 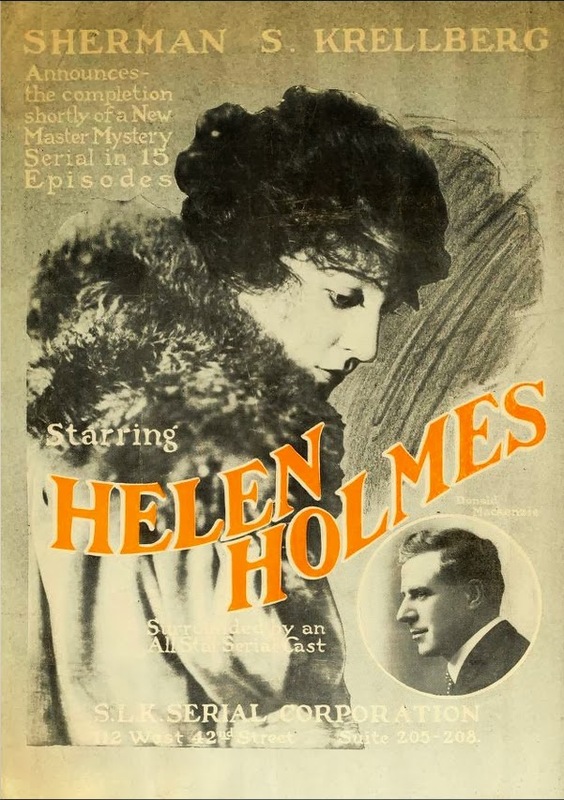 This serial made Helen a big name in the industry. She appeared in more and more action films with a few different studios before her career began to slowly decline when people started to get tired of seeing all these female action films. So, she began appearing in westerns but not to the same fanfare as her earlier shorts were. Helen did appear in some talkies, but not in any big roles (if she was even credited at all). She made her last film appearance in 1943. 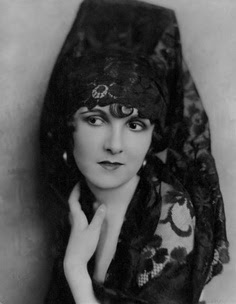 Helen Holmes passed away from heart failure on July 8, 1950. She had been plagued with heart problems for the five years prior to her death. She is buried at Forest Lawn in Glendale, California. Helen was married twice. 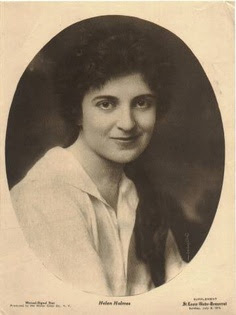 Her first husband was director J.P. McGowan and I am not sure exactly when they married and when they divorced but it was sometime between the 1910s and 1920s. 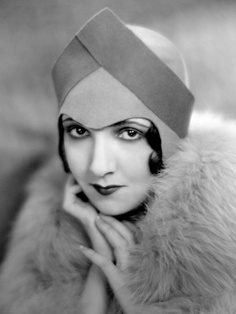 Her second husband was stuntman Lloyd Saunders in the late 1930s. When her career began to wane, she and her husband worked instead on training animals for movies such as Rin Tin Tin. They stayed married until Lloyd died in 1946. From what I have read, I don't believe she ever had children. After she retired, Helen and her husband also ran an antique store. Apparently, Helen had quite a collection of rare, antique dolls. Carmelita Geraghty was born on March 21, 1901 in Rushville, Indiana. Her father was a screenwriter named Tom Geraghty and her mother's name was Ethel. She was the oldest of four children which included sister, Gladys, and brothers Gerald and Maurice who both worked as writers. She grew up in New York City and then the family moved to California (presumably to follow the movie making industry) where she graduated from Hollywood High School. Her parents were not thrilled with their daughter's film star aspirations, but she ignored them and tried her luck. She began working under a made up stage name as an extra until she got work working for Mack Sennett. It was here she chose to appear under her real name. 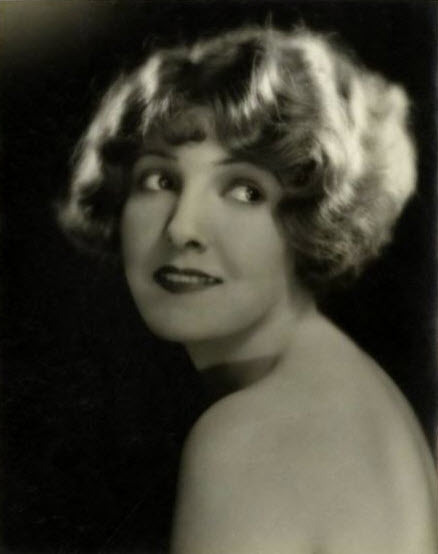 In 1924, she was named a WAMPAS Baby Star alongside such future stars as Clara Bow, Julanne Johnston, and the tragic, little Lucille Ricksen. Directors and studios alike loved her, but her career never really skyrocketed in the silents and it did even worse when the talkies came. Her parts in the films just kept getting smaller and smaller. She made her last film appearance in 1936. Carmelita Geraghty passed away from a heart attack on July 7, 1966 in Manhattan. She was buried at the Hollywood Forever Cemetery. Carmelita was only married once, to writer/producer Carey Wilson in 1934. They remained married until his death in 1962 and never had children. Wow! great entries. I hope you have a fruitful and safe trip while in California. love your blog! I've being following it for a year now, and it's great. I teach Film Editing at a college here and I love to screen old films to my students. I use your blog for reference on the stars of that era. Thank you for the great job you are doing, it's fantastic. I hope that your trip this year to Hollywood is as productive as always. We await your new pics. And Max, your comment made my day, I tell ya what! Really tickles me that people like and read my blog. What college do you teach at? Hi, Jessica. Helen Holmes did in fact have one child, a daughter Dorothy. There are numerous newspaper articles that refer to Dorothy. They usually say that Helen adopted Dorothy, although the stories of how that happened differ. Helen and Lloyd returned to Hollywood in about 1932. She hoped to revive her career but only appeared in a few bit parts. She instead trained animals, mostly dogs, for movies as well as running the antique store. A short movie was made in Australia about Helen and JP McGowan, called "Stunt Love," that features many of Helen's breathtaking stunts. It has only been shown twice in the US that i know of: at the MOMA in New York in spring 2011, and at the Tiburon International Film Festival in Tiburon, CA (near San Francisco) in 2012. There is a website for the movie so you can find out if it is available yet as a DVD or perhaps for streaming. I wrote a short biography of Helen for a screening of one of her movies at the Niles Essanay Silent FIlm Museum and would be glad to share it with you if you are interested. She died two years before i was born so i never knew her, only through family stories and the fairly extensive research i have been doing, including with JP McGowan's biographer. Thank you so much for stopping by, Shirley. And thank you for all the extra info, it is greatly appreciated. I am so glad you have been able to read up more about her. I had the chance to visit Helen's grave in June, the picture should be on my blog somewhere. And yes, I would love to read the biography that you wrote! Please feel free to e-mail me! Oh how cool is that, Larry! I will see if I can dig up some photos of her artwork and send them to you. What a wonderful program that will be in May, I'm jealous!